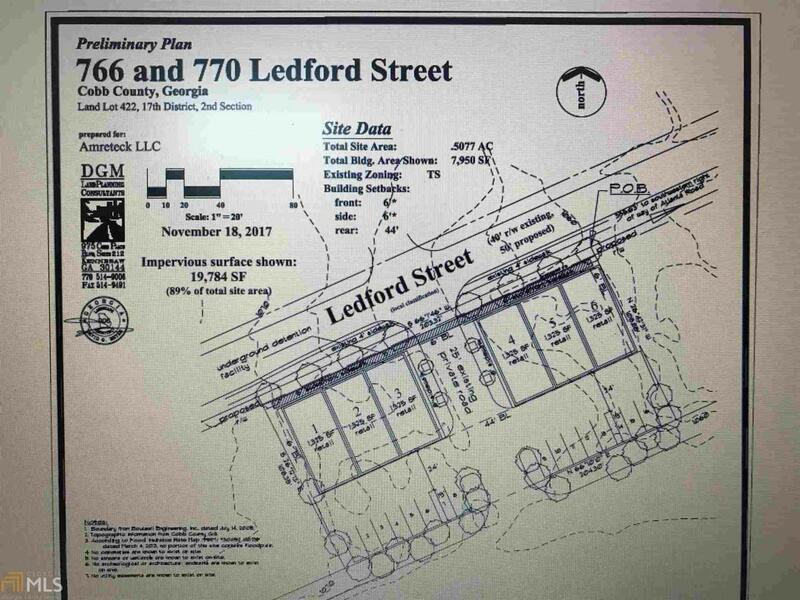 Interested to build Shop, Warehouse, Office Space, Parking Commercial Place, More than 20,000 sq ft flat commercial zone land Lot, Close to Battery Park and Cobb Parkway Two (2) lots (766 & 770 Ledford St) available to sale each with more than 10,000 sq ft flat land. 1 mile north of Atlanta Rd and Windy Hill Road. 5-7 min from highway 75 and 285. Listing provided courtesy of Maxima Realty. © 2019 Georgia Multiple Listing Service, Inc. All rights reserved. Information Deemed Reliable But Not Guaranteed.